Congratulations to Jerry! We miss "Floor Crew Fridays" on AC360!! 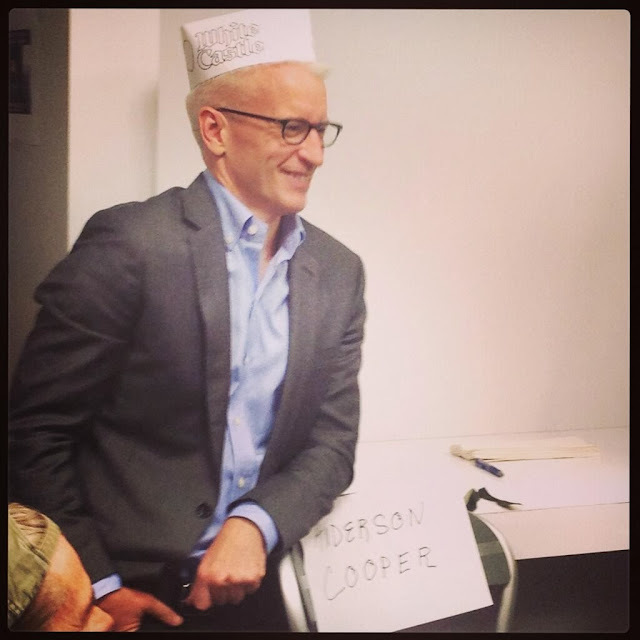 Tomorrow Anderson is scheduled to return to Washington, DC for the "Wonk of the Year" Award. For more information on the event, please click here. The clip of Adrianne, the former dancer, is very emotional and inspiring. She suffered a loss, almost like a death, and she will need time to grieve for the loss of her leg. She seems to walk quite well in the end, after six months of healing and physical therapy. Hopefully, she will resume her dance routine. I was about five minutes late turning on 360 and when I got there they were showing fireworks. As I watched it turned into a biography of a woman with PTSD; maybe this was a special documentary in place of 360? Later Anderson appeared and talked to Susan Candiotti and it became apparent this was about the dancer terribly injured in the Boston Marathon bombing. The bombing was a horrific event and it's inspiring to see her work on her life but in the back of my mind I wondered - why is this the lead story? Hayes was talking to two doctors about the ACA and it was with Hayes where I spent most of the hour. He simply had more interesting news stories. I often checked back with Anderson. Most of 360, except for the interviews with Lon Snowden and the Lance Armstrong authors, had the "LIVE" icon in the corner. Unfortunately the entire show felt so taped. I am little ashamed to put the story of the Boston dancer in with the rest when I say Friday's show felt like a collection of reports Anderson wanted to broadcast all week but the shutdown/ceiling debt story took precedence. So today is when all of these B-list reports were aired. Thanks, ATA, for the extra photos and news. I really like Anderson's moon photo. Although Friday's 360 was a nice break from politics, I wasn't really interested in any of the reports. 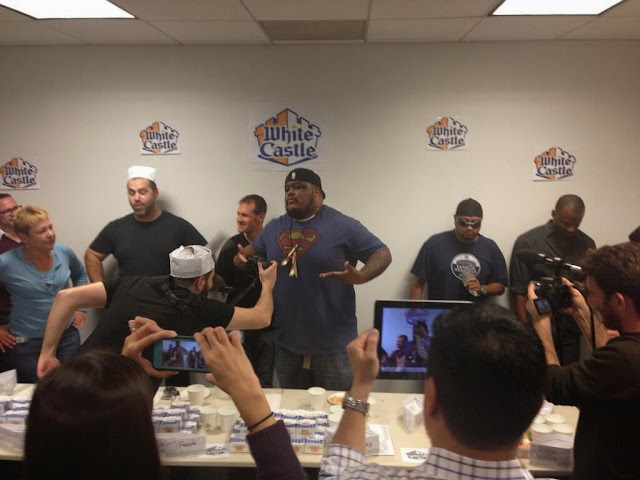 I'd forgotten about Floor Crew Fridays, that was fun stuff--looks like they had a great time with the White Castle challenge--I think I remember the winner Jerry from some of the FCF segments. Nice pics of AC and fans and AC's pic of the moon is...unusual.